NSI's Surface Mount Insert Plates have threaded inserts that offer secure attachment for board handles, water bottle cage or other carry along items. 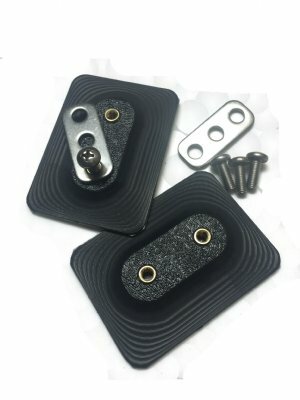 They are sold as a set of 2 and include screws (washers sold separately), or a set of two with webbing and male/female buckles. They attach with a 3M®, VHB (very high bond), peel & stick adhesive. Create your own system, mounting your existing cooler, Crazy Creek chair, dry bag or anything you want to take on the water with you. 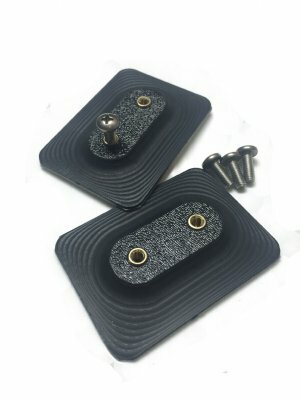 Be sure to see our Rubber Plate with Spectra Loop also.